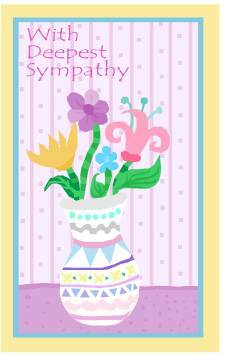 Sympathy card etiquette can prove very difficult for people. It’s an emotional time for those experiencing a loss, and people react differently to death. While it’s certainly important to use condolences etiquette and make sure to acknowledge your sympathy, the words you use are vitally important as are a few other guidelines that tie into funeral etiquette. The most important thing with your sympathy card is not delaying it. If you can’t get a card out within two weeks, then minimally call or send a message with someone who knows the family. Receiving condolences a month after a funeral can negatively impact someone who might just be regaining equilibrium. 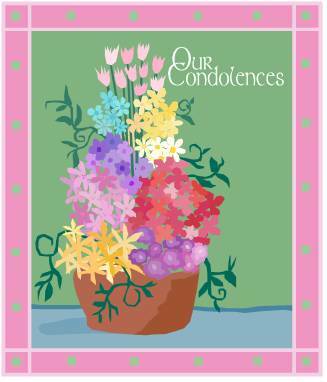 If you don’t know the family, but did know the deceased individual, it’s still proper sympathy card etiquette to send a card – usually to the closest living relative like that person’s partner or eldest child. By comparison, if you didn’t know the deceases, you can send condolences to anyone in the family to whom you feel close enough to for such expressions. In writing the card it is best to hand-write your message. This is true in nearly every avenue of practical etiquette unless your hand writing is completely illegible. The key role for wording is: Keep it Simple! While you might wish for something creative, most grieving people don’t really “see” the whole message, only the name of the person who sent it. Just opening the card is emotional. Examples of phrases to use include, heartfelt condolences on ___________, our sympathy during your time of sorrow, and may X’s memory remain close to our hearts. Hint: avoid anything that could upset the card’s recipient. Saying that you know how they feel, or that maybe it was for the best won’t go over well. Both messages break the primary rule of practical etiquette: being considerate. By comparison, showing up with a sympathy card and an easy-to-prepare meal makes a wonderful statement. It says I’m here now, and I’ll be here again when you’re ready to share your feelings. Once you write out your condolences remember to sign it with your last name. Why? Well, how many “Marys” or “Johns” are in any group of family or friends, for example. Address the card according to whom it’s directed. For an entire family using, “to the Smith Family” is perfectly acceptable. Or, if you’re thinking of everyone who knew the deceased then, “to the Smith Family and Friends” is apt. On the other hand if you’re sending a card to a specific person in a household return to basic mailing etiquette. You do not have to use titles in this instance unless you want to. Titles are best for people with whom you’re less familiar. Friends can receive a note addressed with their first and last name on the outside of the envelope instead. If the family requested charitable donations to a particular cause, sympathy card etiquette indicates that you can include a brief note about that with your card. Alternatively sending a check to the family is also acceptable. Just indicate that you’re including it to support the good work of X cause in the deceased’s memory.